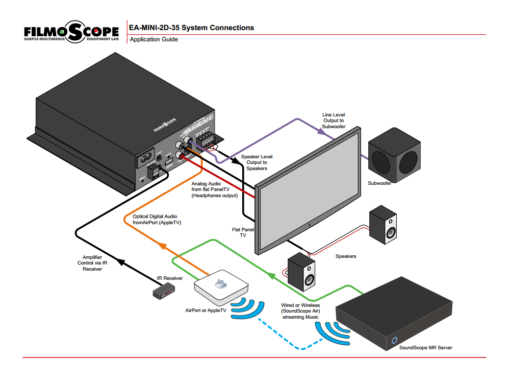 SoundScope EA mini — двух канальный усилитель предназначен для домашних мультирум систем. 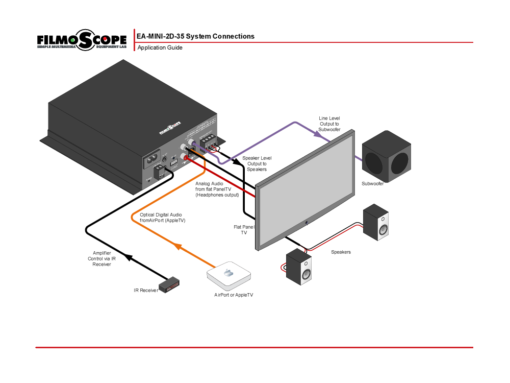 The FilmoScope-EA-mini 2-channel digital mini amplifier delivers outstanding sound quality and cool-running performance – in one convenient pint-sized package. 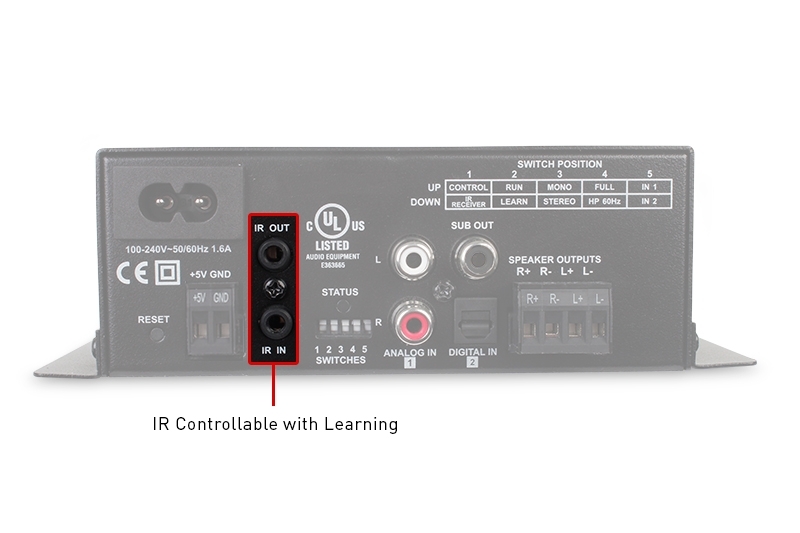 Featuring two inputs with selectable priority and IR control with learning, this amp can be programmed to work with any remote or control system. 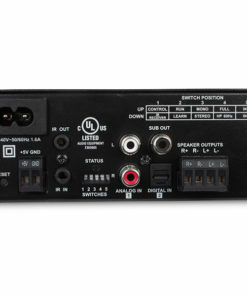 And when used in conjunction with our BOX, it can be tucked neatly behind the TV, meaning customers don’t even know it’s there. 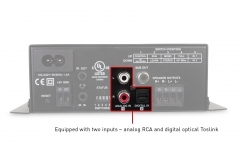 Equipped with two inputs – analog RCA and digital optical Toslink – this amplifier drives superior sound for two pieces of equipment, like a Blu Ray player and cable box. 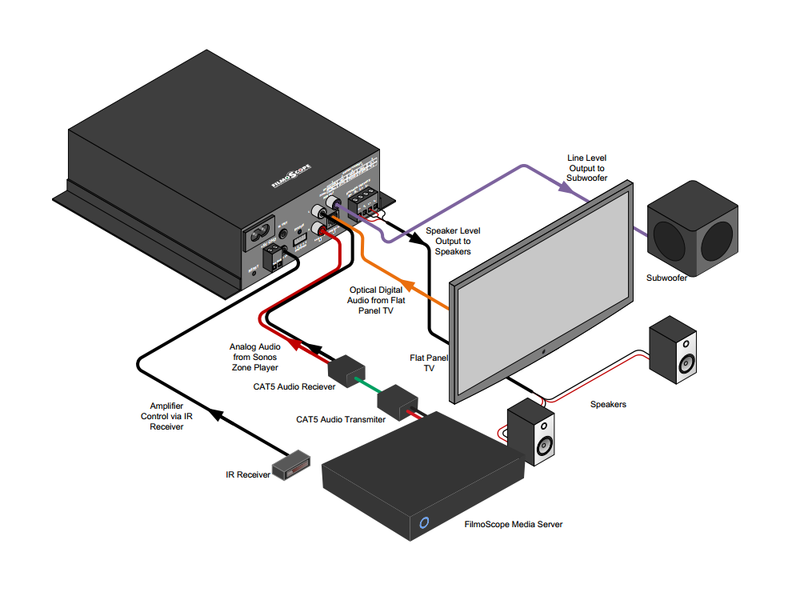 Plus it’s great for applications that need to incorporate multi-room audio with a single TV. 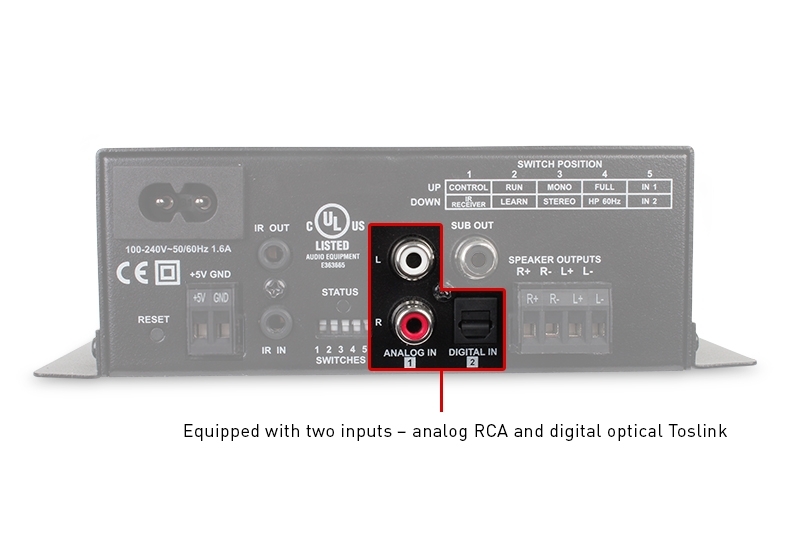 This amp automatically switches to the input with an active signal, but you can set a priority input to ensure that one device always takes precedence – even if both are being used. 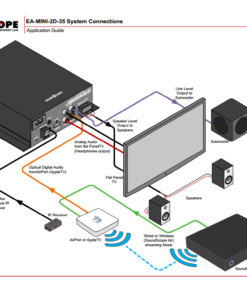 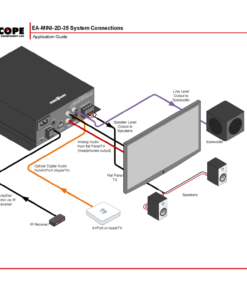 Thanks to IR learning, you can control this amplifier using the customer’s existing remote. 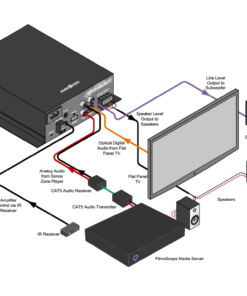 It provides fast and easy control of volume, as well as other basic commands. You can also use the Remote Control for Digital Mini-Amplifier (sold separately) to teach the discrete IR commands to any universal remote. 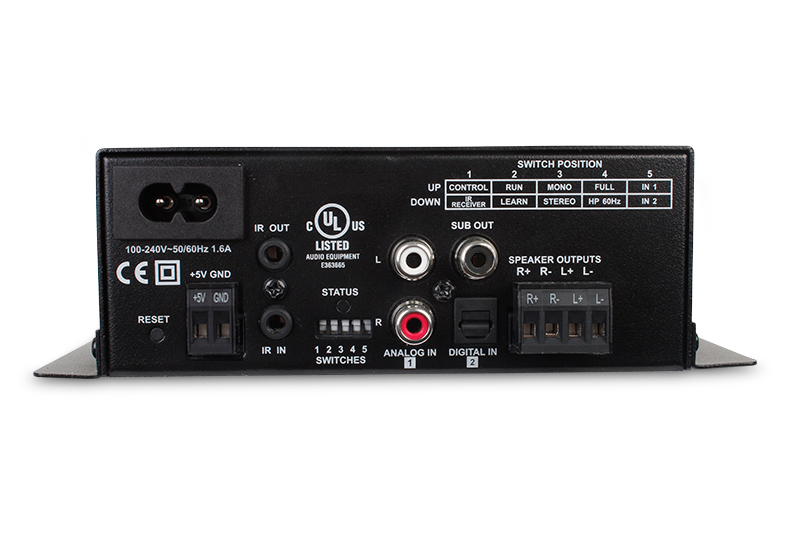 And for more complex systems, the amp’s hard-wired IR input can be used to connect directly to a control system – no emitters required. 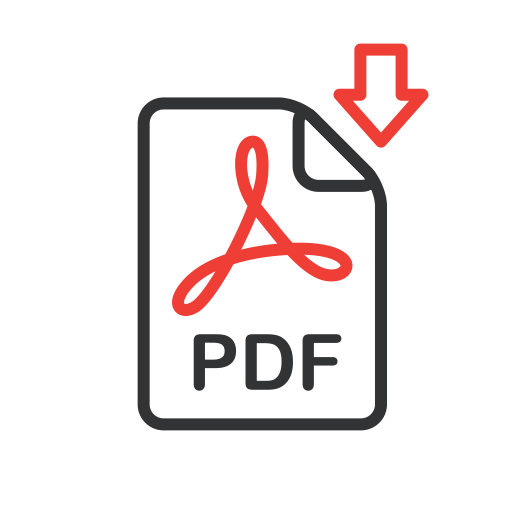 Hex codes for all commands are available for download on the Support Tab. 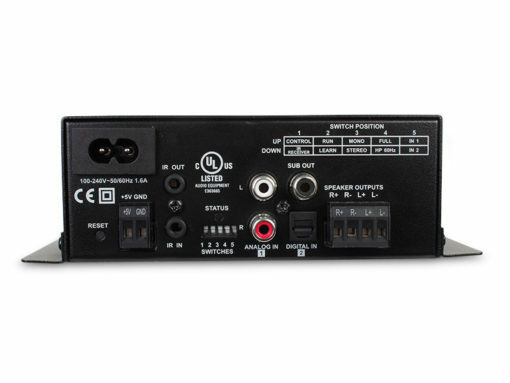 Note: An IR receiver (not included) must be connected to capture in-room commands.